Israel is a very small country with an interesting diversity of languages. Hebrew and Arabic are the official languages of this country, but there are about 33 languages spoken daily. 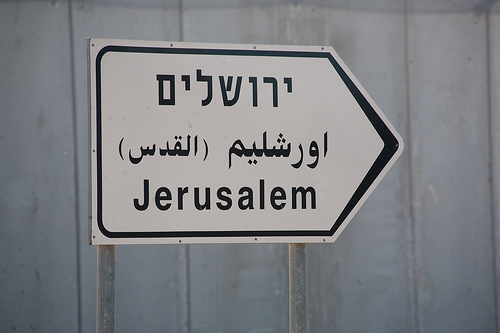 Many of the signs in the city will read in Hebrew, Arabic and English. Modern Hebrew is one of the official languages and is found almost everywhere in Israel. It was decided historically that Hebrew would be the de facto language in the new state in 1948, as immigrants where coming from all over the world and had to have a uniform communication system. The Hebrew language is spoken in the government, Knesset debates, commerce, schools, universities and court sessions. Most of the Jewish immigrants in Israel know their mother tongue, such as Russian, along with Hebrew. In Arabic-speaking schools, Hebrew is a required subject for students third grade and above. Most Arab Israelis, which make up about 20% of the country’s population, can speak Hebrew as well as Arabic. Arabic is the second official language of Israel, and is mostly spoken by the country’s Arab population, Israeli Druze and some expatriate Jews from Arab nations like Morocco and Yemen. Arabic lessons are popular in Israeli schools, but are not required. Many different parts of Israel have a high concentration of Arab population, such as Haifa, East Jerusalem, the Golan Heights, and of course the Palestinian territories, the West Bank and Gaza. English is a very popular second language in Israel. It is often used in the spheres of international relations and foreign affairs. It is a requirement for students to study English at schools and universities, both for Arabic and Hebrew-speaking youth. 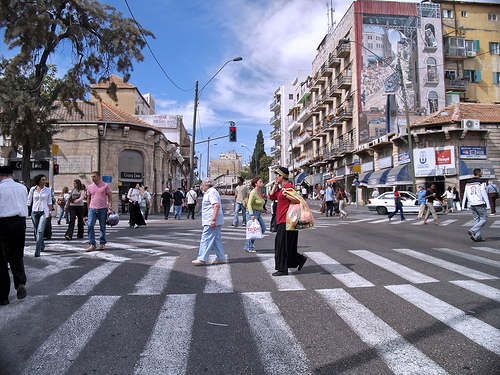 Most younger people in Israel speak English fairly well, but it is less common for the older generations. Though Great Britain was influential in the foundation of Israel, the English that is spoken in Israel is more similar to the American dialect due to media and current affairs. Russian is a common mother tongue in Israel, due to the fact that many immigrants to Israel had come from the former Soviet Union. Many specific areas of Israel have high Russian populations, where one can hear people speaking it on the streets and at home. About 20% of the Israeli population is fluent in Russian. Some of the former Soviet expats also speak Ukrainian. Romanian is another common foreign language in Israel, with about 500,000 speakers. Yiddish was the most popular Jewish language when the Jews had lived in diaspora in Europe. It is very similar to German, but takes on some influence from Hebrew and other languages. Though it was banned and replaced with Hebrew in the formation of Israel, it has since undergone a cultural revival and is gaining more appreciation. Though people today may be proud of Yiddish, it is a language of past generations. Is there a possibility to complete a Russian language course during the main vacation 2011 in Tel-Aviv? This would be very appealing to me im an Austrian convert,who wants to get deeper in connection with his religion. could you propose me a few? Please be so nice and drop me a line!